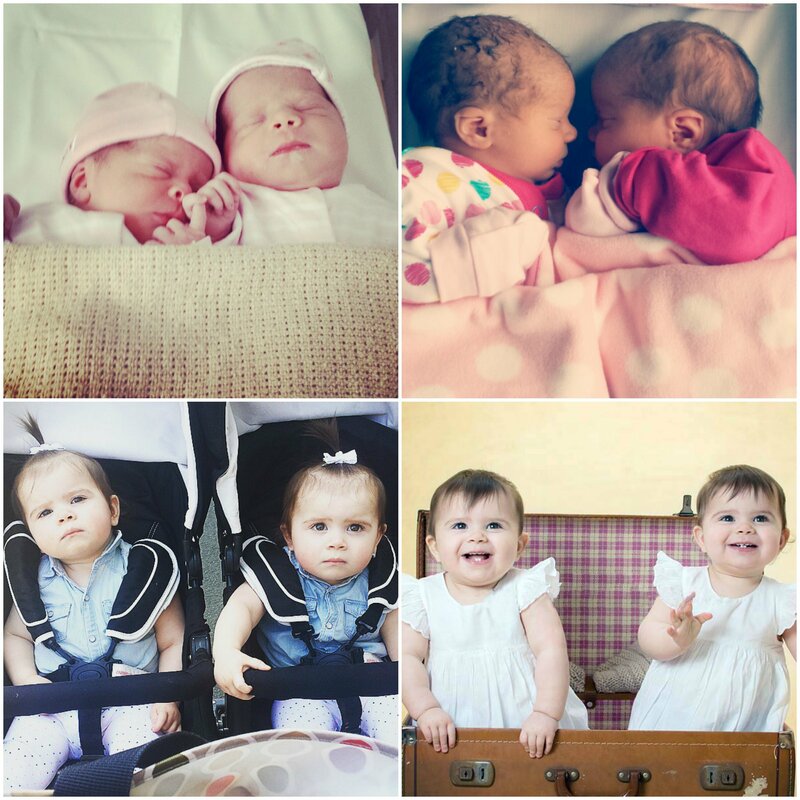 Emilia & Gracie | hellotwinkles. So Emilia & Gracie, please behave for mammy today, otherwise mam will be pulling her hair out and possibly lock herself in the bathroom for 10 minutes for a bit of peace n quiet. Mam loves you very very much but this is killing me.. please give me a break, just for today!! So, the first year has been so hard looking after my little twinkles. Its been hard because we haven’t really had anywhere this year that we could call home. So routines went through the window. The thing we did manage though, was to bathe the twinkles at 6pm every night and bed for 6.30pm and still do it now. The first year was a bit surreal and crazy. I went from being a make up loving, music loving twenty one year old to a twenty two year old mum of two.. two??? How did that happen?! Well we all know how that happened but how amazing is that? Making one baby is amazing but 2? How was i capable of that? anyway enough of me rambling on..back to the subject.. so yeah it was a tough year. The girls really tested me! Gracie said her first word ‘dad’ and Emilia said her first word ‘mam’ so happy parents LOL! And both crawled around the same time- 2 months before their birthday then walked a month or so after their birthday. They are literally everywhere at the moment, TV stand, open the sideboard drawers, playing with the fireguard, Some days i wonder how the hell do i cope lol! Oh and the sleeping, don’t get me started on the sleeping. Because they’ve never had their own room (YET) because we have been living with relatives for the past year, whenever me and Jamie go to bed about 15 minutes after or so they want milk.. they are milk monsters!! And then the literally wake up every hour throughout the night for more milk. We cant say no because we don’t want them to wake up our relatives. So when we move out the girls are going to have some serious training!! Lol. I really cant imagine life without my little monkeys now, they have completed me. They are my whole world!! They bring me so much joy and happiness. yes it is exhausting and hard, i sometimes cry for a whole day because I’m so stressed and sleep deprived, but do you know what? i wouldn’t change it for the world. 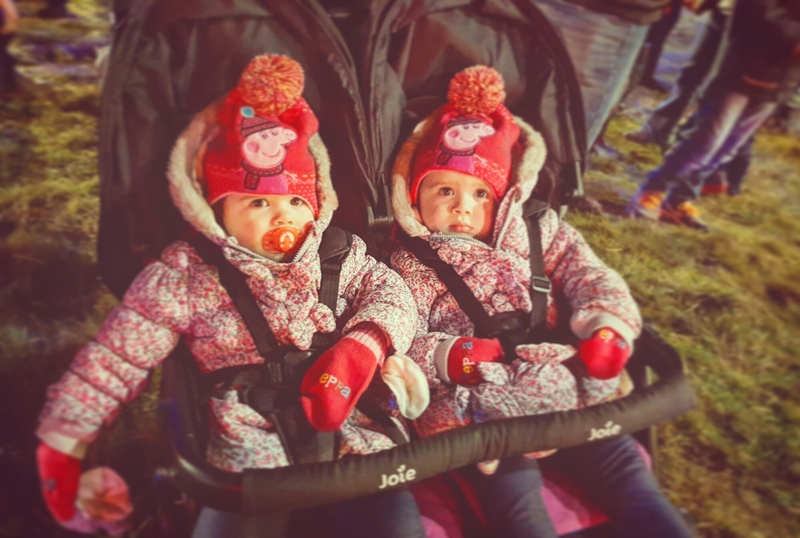 Being a twin mum is what i was meant to do and I’m pretty damn good at it if i do say so myself!! sometimes i wish i had more energy and money but we cant have everything can we? 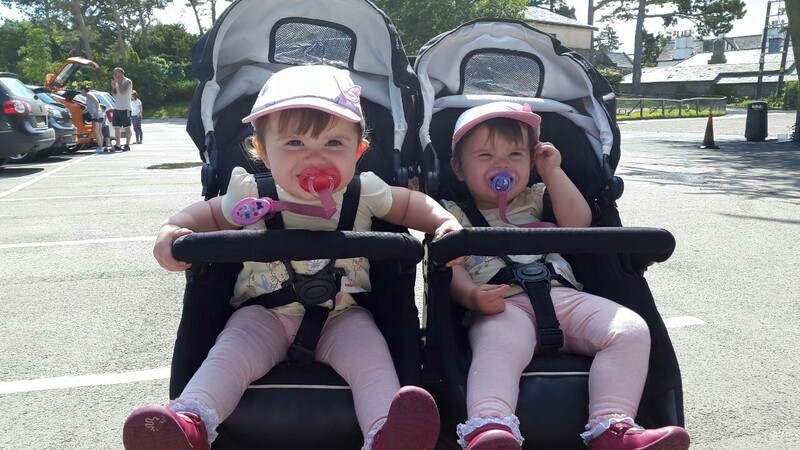 It is very challenging bringing up twins, every morning when i wake up i wonder what the day is going to be like, are they going to be monkeys all day & demanding.. its very unpredictable. i sometimes stress when both girls scream at the same time, who do i attend to first!? Who do i comfort? it is very hard, and the first weeks or so i was so down in the dumps as i felt i could only comfort one at a time and i felt awful leaving the other twin in her chair. So as the title says.. chicken pox has well and truly landed in our house, and both girls have it. We kind of expected it really because my niece & nephew have been with it the past 2 weeks so it was only a matter of time. i was honestly thinking the girls were just having their terrible two’s early, because they have been nightmares for the past 2 weeks. They have been so hard to please, woke up various times in the night and was clinging on to me all day long. 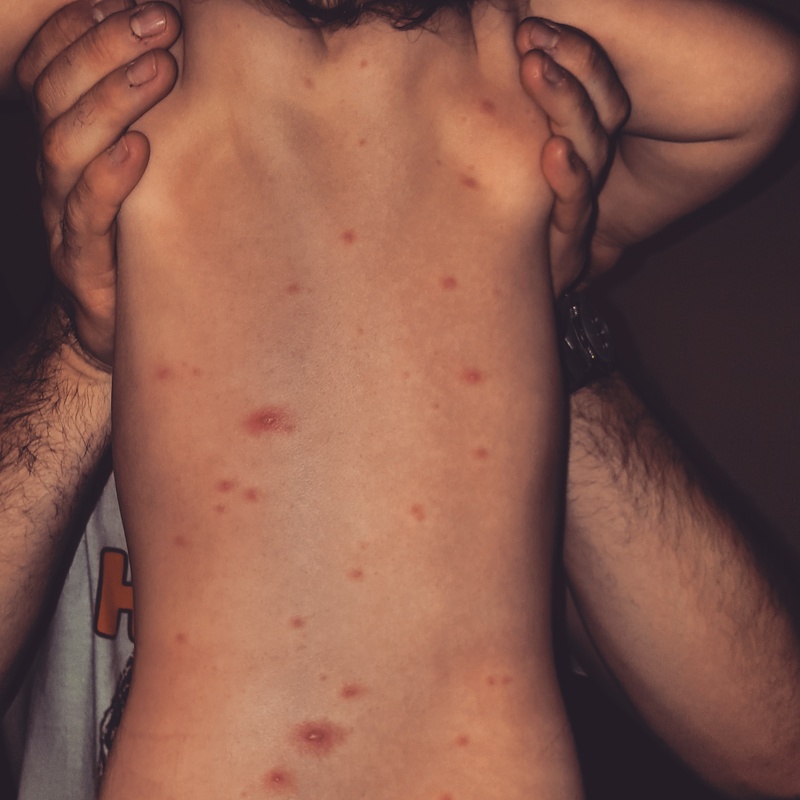 They’ve even been off food and they love food.. but now we have the answer… CHICKEN POX! They are both absolutely covered in spots bless them, i feel so sorry for them, they are literally everywhere!! Theyre both feeling sorry fo themselves. Plenty of snuggles on the sofa this week i think, any excuse for a Pyjama day.. not that i need one 🙂 HA!! Emilia Kate & Gracie Mae. They are my absolute world. I really cannot imagine my life without them now. its amazing how much your life changes once you have created mini humans! Emilia was Twin 1/A & Gracie was Twin 2/B in ultrasounds. They’re the same blood group, Have the same hair colour & the same eye colour and their teeth cut through the same time. People are adamant that they are identical. Sometimes i do wonder myself if they are. its so obvious to me that they aren’t identical but it would be since I’m their mum. very tempted to get a DNA test done just to determine whether they are or not. Their personalities are completely different. Emilia is mischievous and is such a monkey while Gracie is quieter. But Gracie does tend to copy Emilia when she climbs onto the TV stand and opening the sideboard drawers and the other monkeyness she gets up to! They don’t like sleeping . They still don’t sleep through. I get up various times a night. Arghhh! *pulling hair out*… BUT.. that might be down to the fact that they don’t have their own room yet.. i can live in hope cant i!? They love books and could sit for ages listening to stories. I always dress them the same… Yes i am that twin mum. Lol! They love singing & dancing. Mainly to Cbeebies theme songs! They are the best of friends. I honestly think they would be completely lost without each other. Even though they fight..ALOT! Gracie lets me know now when she does a fart by saying “papoo” so.. unfortunately i can no longer blame my bum wind on her LOL!